America’s top 10 cities for single family rentals might not be where you’d expect. While many might think that San Francisco, Brooklyn, or Las Vegas is the top market, it isn’t necessarily the case. HomeUnion® has identified the top ten single-family rental investment markets in the U.S., using a number of factors including annual job growth, gross rental yield, and the median price of an investment home. With strong growth across all employment sectors, and a lower housing affordability index (meaning the market lends itself to investment homes more readily than traditional owner-occupied purchases), Nashville rounds out our ranking at number ten. With an average investment home price squarely under $100,000 and a correspondingly strong gross rental yield, Milwaukee investment properties are great contenders for a diversified investment portfolio. Construction will likely be the biggest driver of rental demand in the area. An update to the streetcar system downtown, and a new urban living complex will bring at least 2,000 construction jobs to the region. A proposed $1 billion arena of the Milwaukee Bucks could bring over 2,000 permanent non-construction, non-arena jobs to the local economy, creating further demand for rental housing. The market’s central location and accessibility mean that it’s a popular choice for online retailers expanding their warehouses. The nearly 1 million square feet of warehouses currently speculated for development will support both jobs and household growth in the area, ensuring rental demand nearby. Indianapolis boasts more affordable single-family properties, however the homeownership rate is low and demand is high, further supporting this as a top 10 investment market. Tampa has had consistent job growth in the last year. While the majority of the increase took place in the leisure and hospitality industry, there was also significant growth in the education and health services sectors. Further fueling rental demand is that fact that these industries generally are lower paid, meaning that those employed by companies in these sectors are less likely to be homeowners. This coupled with low rental vacancies helps keep this Florida market in our top 10. Birmingham’s low cost of entry and high gross rental yields place the market at number 6 on our list. The rental demand in Birmingham is driven primarily by the constant expansion of the University of Alabama. Additionally, as the market continues to recoup jobs lost during the recession, especially in the Construction and Business Services sectors, investors will see increased demand for rentals, especially in the areas with good school schools. A solid projected addition of 23,900 jobs by the end of 2015 will lift Jacksonville’s payrolls past the pre-recession peak. The job market’s overall health coupled with the high concentration of military families fuel demand for SFRs. In fact, the overall market will benefit from an increased naval presence beginning at the end of 2016, when the first of eight littoral combat ships arrives in December. These ships will bring 100 sailors with each assignment, increasing potential rental demand. Cincinnati’s strong job market (more robust than Cleveland since 2014) helps the market secure the number four spot on our list. This healthy employment supports the market’s low rental vacancy and increased home rents. For investors, a reasonable cost of entry and the resulting strong gross rental yield further reinforce Cincinnati’s attractiveness. Baltimore was a surprise inclusion on this year’s list, however the metro’s high gross rental yields and above average job growth were strong factors in our ranking. For investors forgoing Washington D.C. due to the high cost of entry, this market is a strong alternative. The entry prices are quite reasonable, and the market will be further bolstered by the $150 million expansion of the Maryland Live casino, which will generate 1,000 permanent and construction jobs. Strong tourism-related employment is the primary factor that led to Orlando securing the number two spot on our list. In 2015, the 62 million visitors to Orlando lent support to the 15,000 new jobs in the hospitality and leisure sector. These jobs, while plentiful, are lower paid, which means an increased demand for rental properties. Charlotte made our number one spot due to strong sustained job growth across all major employment sectors over the past two years. In fact, this MSA had the 3rd highest job growth in the nation and added 42,200 jobs over the past twelve months. This, coupled with low vacancies, and a projected increase in rents ensures this market is attractive to investors. 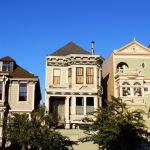 While there are certainly profits to be had in “hot markets” like San Francisco and Brooklyn, investors who purchase properties there are looking primarily for appreciation, and are often willing to sacrifice cash flow for an uncertain future gain. Additionally, the entry prices are high in these regions, partially due to traditional buyers who have pushed prices up past a reasonable point for investors. Strong investment markets should not be confused with strong owner-occupied markets; the factors used to determine these are different. You can learn more about the science behind how HomeUnion® identifies strong investment markets by heading over to our Investment Sciences page. Real estate is a strong long-term investment, and the cities listed above represent some of the best investment opportunities for real estate in the U.S. Among other factors, these cities top the country for job growth, while maintaining a reasonable cost of entry, and strong gross rental yields. Would you like to learn more about how you can reap the profits of these top ten cities? Sign up for our investor portal to see real estate investment opportunities in these cities. I need help please Asap.